The Oklahoman's Jason Kersey is reporting the following..
Oklahoma freshman running back Joe Mixon was involved in a serious altercation at a restaurant near the OU campus early Friday morning, Mixon’s attorney confirmed to The Oklahoman. 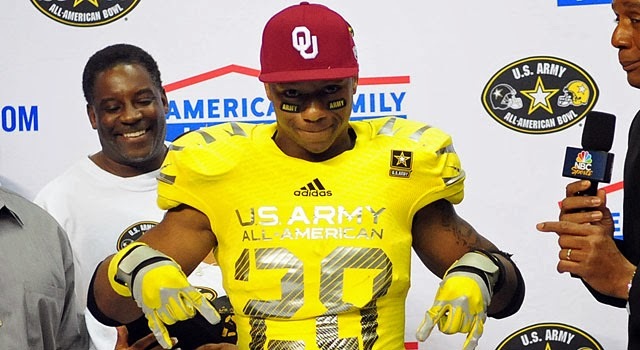 Mixon’s involvement was first reported by SoonerScoop.com, the Rivals site that covers OU. Norman police have confirmed an incident at Pickleman’s Gourmet Cafe, but said no arrests were made and an investigation is underway. An OU athletics spokesman said the department is aware of the situation and is conducting its own internal investigation.